We are Personal Injury Lawyer in Philadelphia with the Experience You Need For Accidents or Workers Compensation Cases in Pennsylvania. Our office is located in Center City, Philadelphia. To schedule a consultation, please call 215-568-0100. 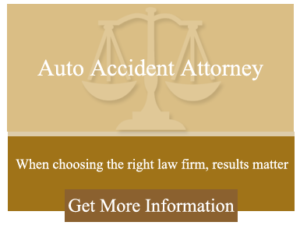 Philadelphia personal injury accidents demand swift legal action. When someone or something harms you, even if it was an accident, that person may be legally responsible for their negligence. Sometimes a business or corporation caused the harm. The Philadelphia personal injury attorneys at Bernhardt, Rothermel & Siegel, PC are prepared to fight to protect your rights. We have the experience and knowledge to help make things right. A serious injury impacts every aspect of your life: your health, your finances and your family. If that injury was caused by someone’s careless or negligent actions, you have the right to pursue monetary compensation for the hardships you are facing.The law firm of Bernhardt, Rothermel & Siegel, PC, helps people throughout Philadelphia, Pennsylvania nd New Jersey with personal injury, products liability and medical malpractice claims. We are a team of dedicated legal professionals who show genuine care about our clients. We have won millions of dollars in verdicts and settlements for our personal injury clients. If you have suffered a personal injury of any type, the kind and helpful staff at the law offices of Bernhardt, Rothermel & Siegel, PC will guide you as you are trying to recover and deal with the pain, fear and anger of having endured a traumatic event. If you or a loved one has suffered from a personal injury whether it is medical malpractice, a slip and fall injury, an automobile accident, or a workmen’s comp case, you need a competent and reliable Philadelphia personal injury attorney.